YOUNG, JAMES, newspaperman, politician, and author; b. 24 May 1835 in Galt (Cambridge), Upper Canada, son of John Young and Janet Bell; m. 11 Feb. 1858 Margaret McNaught in Brantford, Upper Canada; they had no children; d. 29 Jan. 1913 in Galt. In 1834 John and Janet Young emigrated from Scotland to Galt, where they found work with William Dickson* – James Young was born in his house – and later kept a hotel. Educated privately and at local schools, James in his youth had two main ambitions: to be an accomplished orator and a good writer. After a short time with a local newspaper, in 1853, at the age of 18, he purchased the Dumfries Reformer and Western Counties Weekly Mercantile and Agricultural Advertiser, which he would publish, under various titles, for the next ten years; about 1854 he assumed editorial control. 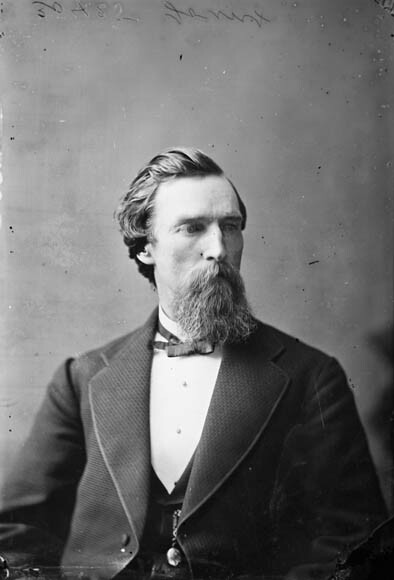 Young’s views on public affairs, including the turmoil surrounding the union of the Canadas, were noticed by the political leaders of the day. 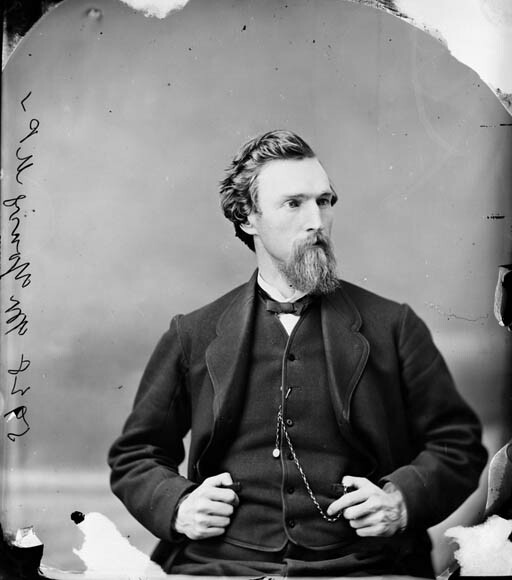 In 1863 George Brown*, Clear Grit figurehead and editor of the Toronto Globe, asked him to organize meetings on behalf of his electoral candidacy in Oxford South. 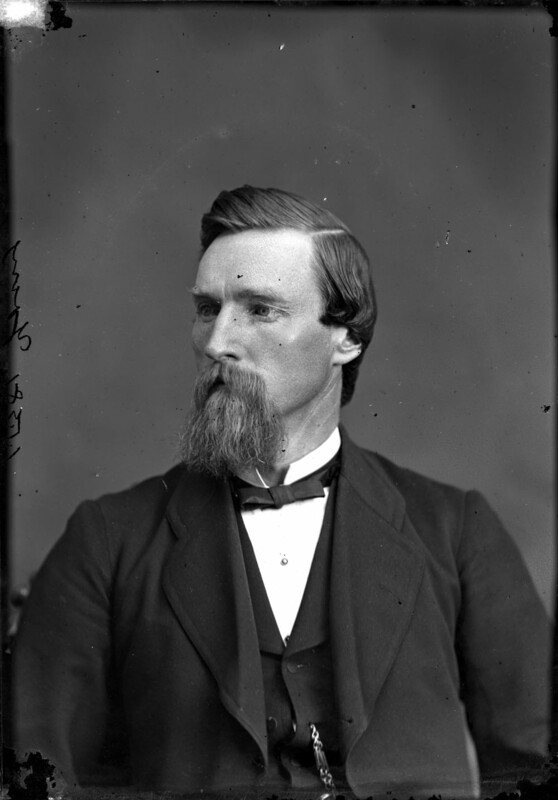 Young later recalled that “it seemed a golden opportunity to win my political spurs, and I was speedily in the midst of the contest.” In June 1867 he attended the Reform Convention in Toronto and a few months later, in the new dominion’s first election, he was returned for Waterloo South over the strong opposition of Tories and Reform coalitionists. Carefully balancing politics with business – for five years around 1871 he was principal partner in the Victoria wheel-works in Gait – he was re-elected by acclamation in 1872 and 1874. 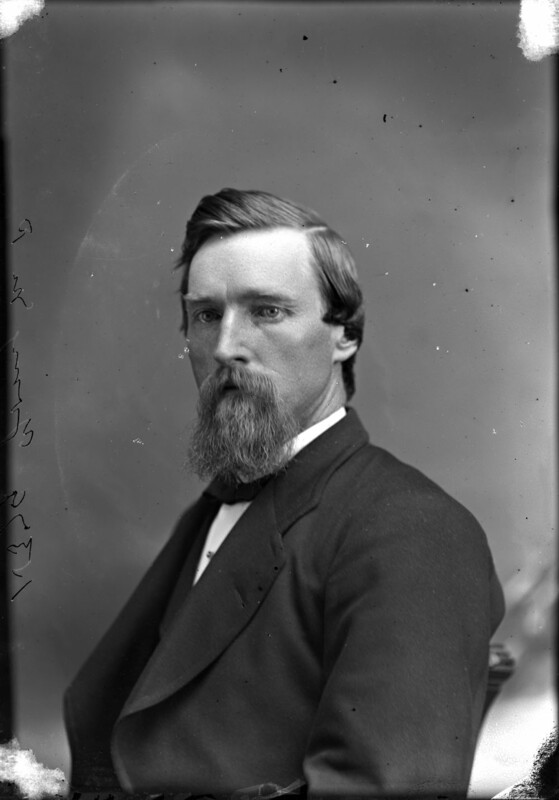 An outspoken backbencher in the Liberal government of Alexander Mackenzie*, Young recommended in 1874 the introduction of a Hansard-style record of debates and chaired the house when in committee on supply and the important standing committee on public accounts, but he did not always ease Mackenzie’s attempts to fashion a national party. 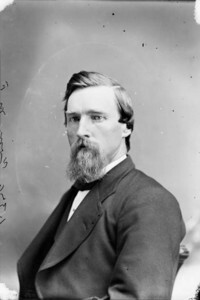 For instance, in the intraparty clash of 1876 over tariff revisions, Young, writing of the event in 1892, identified himself as an Ontario protectionist who wanted to increase tariffs in opposition to the efforts of Maritime mps, who, he believed, “ruined the party.” In 1878 he chaired the Liberal convention in Toronto and became president of the Ontario Reform Association, but in the election that year he was defeated by Samuel Merner*. The following year Young entered the Ontario legislature for Brant North, and his talents were soon put to good use by Premier Oliver Mowat*; in 1880 he chaired a select committee on railway safety. Appointed treasurer and commissioner of agriculture on 2 June 1883, he was forced by ill health to resign on 1 November. 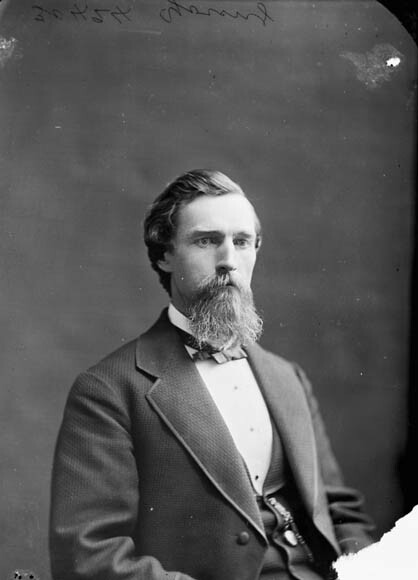 He remained in the legislature but did not run for re-election in 1886. Throughout his careers in journalism and politics, Young had pursued literary, associational, business, and civic interests with equal energy. His essays on Canada’s agricultural resources (1857) and the Reciprocity Treaty (1865) won prizes, he contributed to the Canadian Monthly and National Review (Toronto) between 1872 and 1878 and to commercial journals, and he drew on his local knowledge to produce Reminiscences of the early history of Galt and the settlement of Dumfries in the Province of Ontario (Toronto, 1880). 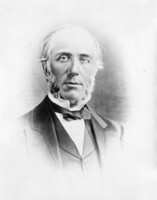 From 1870 to 1881 he was president of the Association of Mechanics’ Institutes of Ontario. In business he held the presidency for 37 years of Gore Fire Insurance (whose history he wrote up in 1895) and at various times he was a director of Confederation Life, Canada Landed Credit, Ayr American Plough, and the Toronto branch of Crédit Foncier Franco-Canadien. In Galt he was a member of town council and a deputy reeve, served on the public school board and as chairman of the collegiate institute, and aided in the erection of the South Waterloo Hospital. A member and manager of Central Presbyterian Church, he was a president of the Sabbath School Association of Ontario and its vice-president in the mid 1870s. 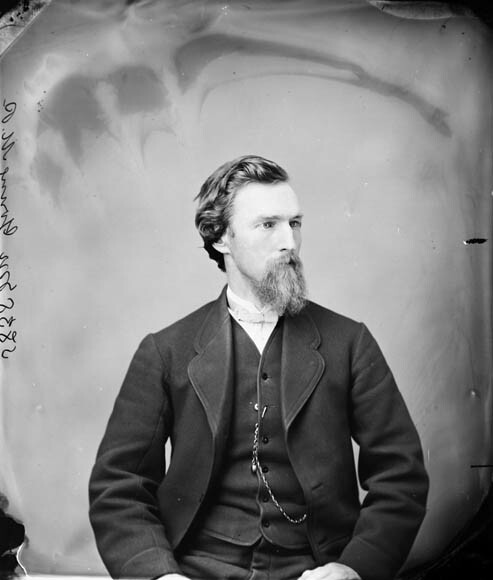 Young enjoyed gardening, hunting, and both curling and cricket: he had captained the Gait Cricket Club in the 1850s and 1860s, and in Ottawa led the Commons Cricketers to numerous victories. 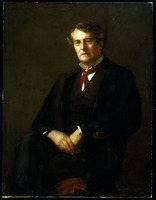 Despite his retirement from parliament in 1886, Young continued to live close to his Reform principles. When the federal Liberals in 1887–88 were considering commercial union with the United States, Young, despite his friendship with party leader Wilfrid Laurier, threw himself into the debate with letters, speeches, and pamphlets against any program, including imperial federation, that countered the “idea of an independent national future.” Young and James David Edgar*, Laurier wrote to Sir Richard John Cartwright on 9 Sept. 1887, “are the only two men who have written me in absolutely uncompromising antagonism to commercial union.” By 1889, in his opposition to unrestricted reciprocity as Liberal policy, Young was virtually alone, close to the rejected sentiments of former leader Edward Blake but far to the right of Ontario Liberalism as represented by Cartwright. In addition to the works detailed in the text, James Young’s publications include Address of James Young, esq., m.p.p., president of the Association of Mechanics’ Institutes of Ontario, read at the annual meeting at Hamilton, on 22nd September, 1880 (Toronto, 1880); Our national future, being five letters by Hon. James Young, in opposition to commercial union (as proposed) and imperial federation . . . (Toronto, ); History of the Gore Fire Insurance Co., from 1839 to 1895; being an address delivered by the Hon. James Young, president of the company . . . (Galt [Cambridge], Ont., [1895? ]); and “The growth of Canadian commerce” and “The situation: commercial and financial,” in the Canadian Monthly and National Rev. (Toronto), 1 (January-June 1872): 387–91 and 3 (January–June 1873): 123–31, respectively. AO, F 24, MU 510, Laurier to Cartwright, 9 Sept. 1887; F 334; RG 22–214, no.5911; RG 80-27-2, 1: 3. NA, MG 29, D61: 8645–48; RG 31, C1, 1871, Galt, div.2: 42 (mfm. at AO). Daily Telegraph (Berlin [Kitchener], Ont. ), 30 Jan. 1913. Dumfries Reformer (Galt), 1853–63, esp. 17 Feb. 1858, 23 Feb. 1859, 5 Aug. 1863. Globe, 30 Jan. 1913. Ernie Ronnenberg, “James Young: Canada Firster,” Kitchener-Waterloo Record (Kitchener), 14 Nov. 1974 (copy in the Kitchener-Waterloo Record Library, Arch. file no.63; this file also includes a black and white portrait of Young). Canadian annual rev. (Hopkins), 1902–12. Canadian men and women of the time (Morgan; 1912). CPG, 1877. Cyclopædia of Canadian biog. (Rose and Charlesworth), vol.2. Directory, Ont., 1871. Ben Forster, A conjunction of interests: business, politics, and tariffs, 1825–1879 (Toronto, 1986). Kenneth McLaughlin, Cambridge: the making of a Canadian city (Windsor, Ont., 1987). Carlton McNaught, “Hon. James Young: Canadian patriot,” Waterloo Hist. Soc., Annual report (Kitchener), 6 (1918): 37–43. Select committees of the assemblies of the provinces of Upper Canada, Canada and Ontario, 1792 to 1991: a checklist of reports, comp. Richard Sage and Aileen Weir (Toronto, 1992), no.24. O. D. Skelton, Life and letters of Sir Wilfrid Laurier (2v., Toronto, 1921). Theo[bald] Spetz, “Address by Rev. Theo. Spetz, c.r., Berlin: ‘The importance of local history,’” Waterloo Hist. Soc., Annual report (Berlin), 1 (1913): 16–18. A. W. Taylor, Our todays and yesterdays: a history of the township of North Dumfries and the village of Ayr, Ontario, Canada ([Galt], 1970). Types of Canadian women . . . , ed. 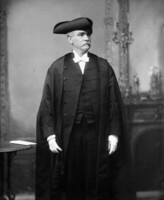 H. J. Morgan (Toronto, 1903), 354. Lynn E. Richardson, “YOUNG, JAMES (1835-1913),” in Dictionary of Canadian Biography, vol. 14, University of Toronto/Université Laval, 2003–, accessed April 21, 2019, http://www.biographi.ca/en/bio/young_james_1835_1913_14E.html.